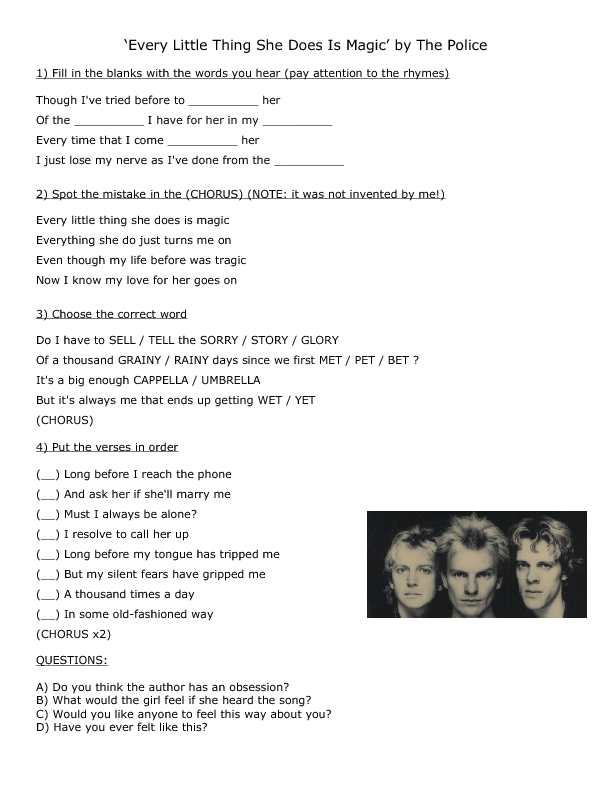 I found it awkward that nobody picked this song to teach so I made this worksheet myself. This is one of the greatest hits by The Police and I find it very rich in analysis. 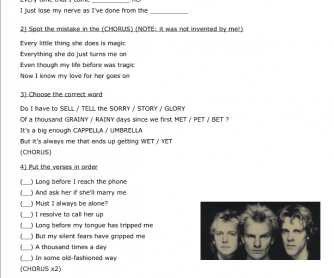 There is one exercise per stanza and some questions for further discussion. You can find the song anywhere. If you are a fan, you may know the album this song is in is called Ghost in the Machine. Hope you and your students enjoy this song as much as me and mine did!